Hope everyone is enjoying a Super Bowl Saturday. I want to take a moment to remind you about the OLLIE community cohort course opportunity. 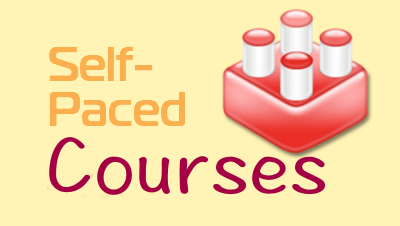 The course, Designing Online Lessons is a 2-credit course and will begin on Feb. 17. You may audit the course for free, or pay a minimal amount for license renewal and graduate credit. To register, click here. (Note: You must register even if you are choosing to audit the course and not take it for credit.) This course is an awesome opportunity to learn more about video-based lessons, text-based lessons, and tools like SoftChalk (A free tool provided to Iowa Educators via AEA PD Online...What's better than free? Not much). Day 1 focused on becoming an OLLIE Community member and exploring the community. We are shifting gears and taking a look at a very popular topic in Iowa: Learning Management Systems (LMSs). Many schools are moving to adopt official LMSs for their district. In some cases, this can be a very robust system with some considerable expense. In other cases, you can utilize a free tool but miss out on having some of the learning tools at your disposal. We'll take a look at the more popular options and give you an idea of how you can understand the different LMS options available. Meet Ms. Brooks. She is a middle school social studies and language arts teacher and loves working with her students in innovative ways. She was one of the biggest proponents for adopting 1:1 technology, and once her school did adopt it, she was one of the most enthusiastic using it in her class. Her students loved the way she was able to incorporate Web 2.0 technology like wikis, blogs, and even Google Docs in her class. While those first steps have worked very well, she still feels like she is just nibbling around the edge. Her school has talked about the SAMR model, and she feels that a lot of her technology use is down at the "substitution" and "augementation" levels. She wants to use technology in a more transformative manner. Through attending conferences and reading blogs, she has heard quite a bit of buzz around blended learning and flipped learning. She would like to know more about the concept, but before she can even get started, she sees quite a bit of the buzz is around the LMS. Seeing that LMS stands for Learning Management System, Ms. Brooks sees that many teachers who teach in a blended environment need a tool that brings many tools together in one spot. Since blended learning is truly transformative, and replace some aspects of the face-to-face class with online learning, she needs a platform to help organize this learning when students are not in the classroom. The question is, which one? In many cases, school districts in Iowa are investigating implementing a schoolwide or even district-wide LMS. There are benefits to doing so, but teachers like Ms. Brooks--where the school isn't implementing an LMS--are not out of luck. There are options that individual teachers can use. Ms. Brooks takes a look at the resources on LMS to understand what are her options.